The Jalisco Campus Party is a yearly event, with the purpose of gathering the technological talent and entrepreneurship in the country through workshops, stage events and more the 700 hours of content with over 20,000 “campuseros”—the nickname for those that attend to the event. It was in June 30th that the team of @inMateriis arrived with great excitement at #CampusPartyMX7 with the idea of doing a giveaway for all those who were interested. 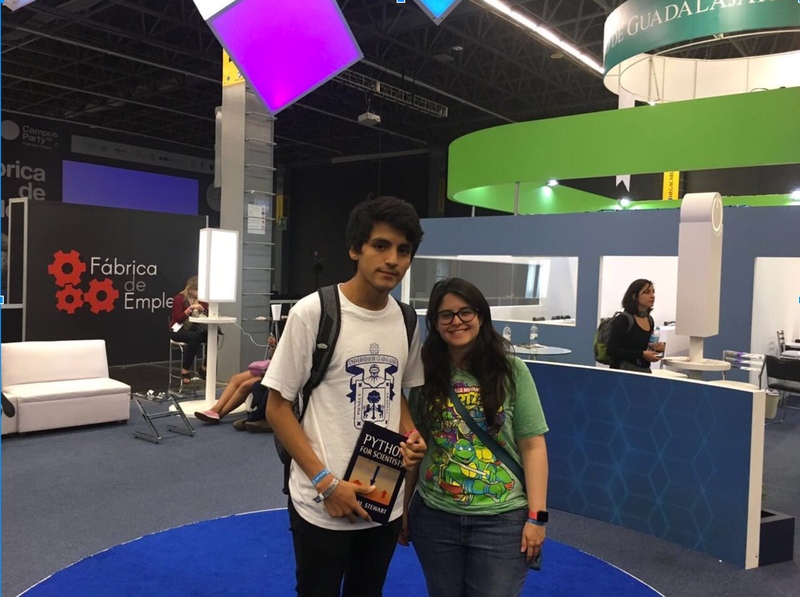 In July 1st , with the hashtag “campuseros”, they drew attention from the members of said convention through Twitter for the giveaway of the book “Python for Scientists”.